Our collection of onyx pendants includes black onyx, red onyx pendantsplus the green onyx pendants you see here. 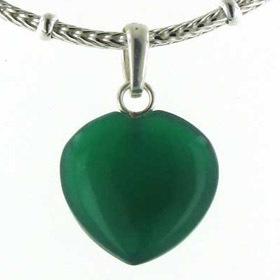 Green onyx is a vibrant emerald green colour and looks best set in sterling silver. 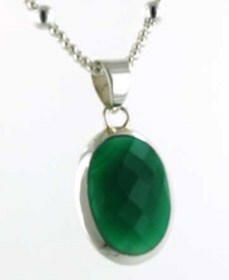 Our green onyx pendants and all our green onyx jewellery is set in sterling silver. 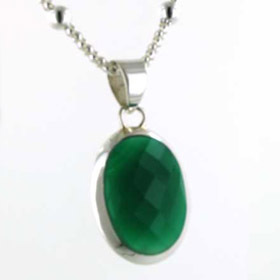 Take a look at our green onyx necklaces for more styles.